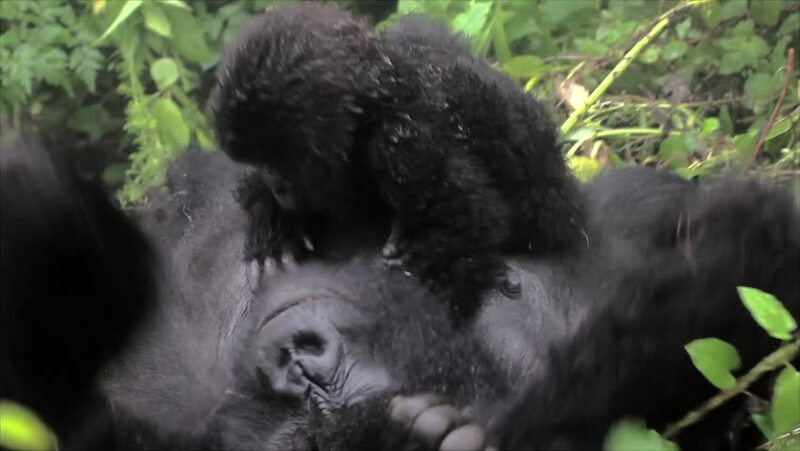 The Critically Endangered Mountain Gorilla Seen Here Playing with her Newborn Baby in Virunga Mountains, Rwanda. This is the Susa Group, which was studied by Dian Fossey. 4k00:11Two small homeless pup huddle together each other on a summer day. hd00:12Monkeys from the Ubud Monkey Forest in Bali, Indonesia.